This adults-only ghost tour of New Orleans takes you on a 90-minute walk through the French Quarter with a knowledgeable guide. You'll visit some of the most haunted locations the Big Easy has become known for, including seedy alleyways, bars and former brothels. Hear horrific tales of the supernatural and learn about paranormal activity and Voodoo's claim to fame. 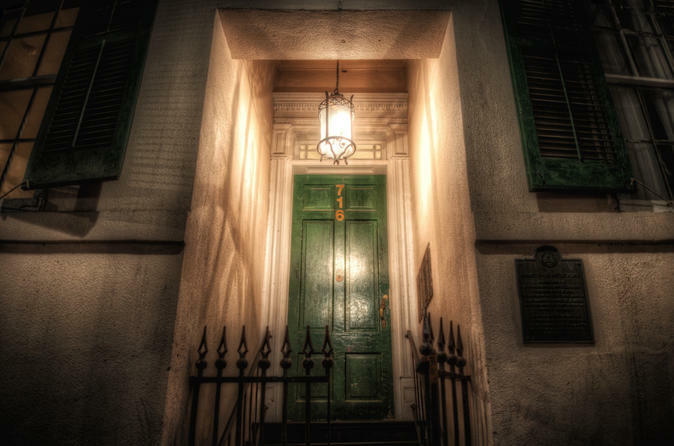 This New Orleans ghost tour explores the darker side of human nature, departing from the French Quarter. Listen to entertaining commentary as you walk with your guide and hear bone-chilling tales of phantoms that haunt the city. You'll learn about terrifying history and horrendous actions while you explore side streets off the beaten path. You may visit former brothels and bordellos where you'll hear about the apparitions left behind. Or maybe stroll by the house of Marie Laveau, the infamous Voodoo practitioner of New Orleans' fame. You may even visit the home of the scandalous Madame Delphine la Laurie or see the tragic location of the city's most devastating arson fire that resulted in the deaths of 32 people, leaving a site teeming with paranormal activity.